Most of us are pretty familiar with the story. Moses leading the rebellious Israelites on a grand tour of the desert. Not much to see here, but nowhere else to go. They are wandering and not finding rest. They had already stood on the borders of the land that God had promised to give them – a land flowing with milk and honey – and clusters of grapes so large that they had to be carried on a pole between two men. I guess that makes it a land flowing with wine, too. The problem was that the way to all these riches seemed to have some obstacles. The Israelites were facing heavily fortified cities and giant sized men! All of these looming larger than the God who just recently parted a huge sea of water and then crashed it in on Pharaoh’s army – not to mention a few other miracles like food falling from the sky and water gushing from a dry rock. I have often wondered why they rebelled against God’s promises. I have tried to imagine myself in their place. Would I have been counted among the doubters and naysayers, or would I have listened to the encouragement of Joshua and Caleb? In spite of the awesome displays of God’s power, it must have been hard to trust a God that terrified them. It seems that only Moses was willing to approach the fire of God – first in a burning bush and then in a mountain of thunder and lightning. While I hope that I would have sided with Joshua and Caleb, I can’t really know. But because of their unbelief, the Israelites were doomed to wander around in the desert until the next generation would learn to trust and to obey. Still, God remained with them. He entered into their regret and their sorrow. And even though the parents would die without receiving their rest and reward, their children would inherit the Promised Land. More importantly, this next generation would grow up accustomed to the sight of a God who was present to them always. God present in the form of cloud and fire. When the cloud lifted and moved, so did they. When it stopped, so did they. This was their daily experience – a training ground of familiarity. They no longer looked back at Egypt. My husband and I are currently looking at significant changes. We are downsizing our home in Australia in anticipation of eventually returning to Canada. In the process of downsizing, I am, once again, laboriously sifting through every bit of my belongings, deciding what possessions to sell, give away, and discard. When we eventually return to Canada, we will downsize yet again. We are quite familiar with this task. Only 4 years ago we sold our home before coming to Australia and had the same experience of selling, giving away, and discarding possessions. They would not have lived lives of excessive accumulation. They would have considered carefully what items were important enough to pack up and carry on a moment’s notice. Certainly they were not puttering around in shops, looking for more doodads and tchotchkes. What they would have been most sensitive to was the presence of God leading them. This was their training ground! They were being prepared to enter the land that God promised them, where they would dwell in safety and peace. There, they were promised rest from their wandering. Although God would give them their promised land, he knew that once they had fine homes, abundant food and pleasant surroundings, they would be tempted to forget Him. They would not fear Him, or walk in His ways, or live by every word that came from his mouth. (Deuteronomy 8:3). And so it was. Their hearts eventually became cold and hard toward God. 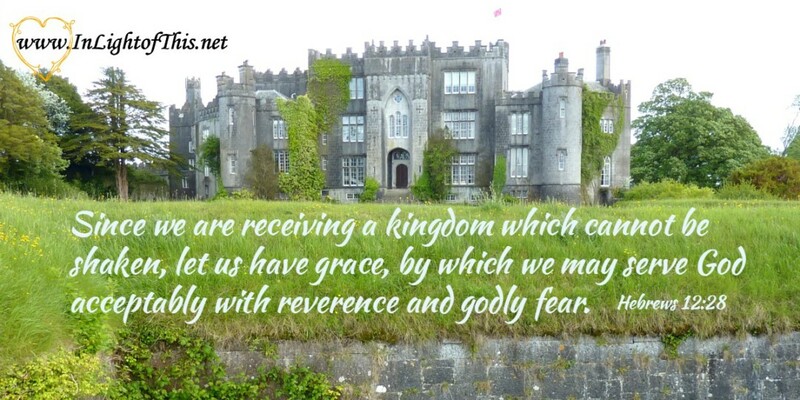 Our physical comfort can distract us and even set up a false kingdom in our hearts. We pursue our own peace, struggling to keep our hearts soft and malleable to God. We search for God, but dulled by our self-interest, we struggle to hear the whisper of His voice in our hearts. But there is grace for us on our journeys. The ease with which we travel on this journey is found in daily seeking – not in daily hoarding. We are not being led by what we can physically see with our eyes. There is no pillar of cloud by day nor fire by night. We are being led with the eyes of our heart – our soft, undivided, heart, attuned to his presence and his leading. For me, the Hebrew story moves me at a deep level. I am a homemaker. I desire to create places of comfort and visual delight, shared through good food and good times. But, I have also become a sojourner, a traveler, and a person who is familiar with the discomfort of change and shifting boundaries. I feel a restlessness in me that pushes me to pursue something more than what this world offers. This restlessness cannot be satisfied by any experience of travel or comfort of home. You and I have been invited to enter God’s rest through faith in Jesus Christ, where we rest in the promises of God and find our spiritual home in God’s Kingdom. 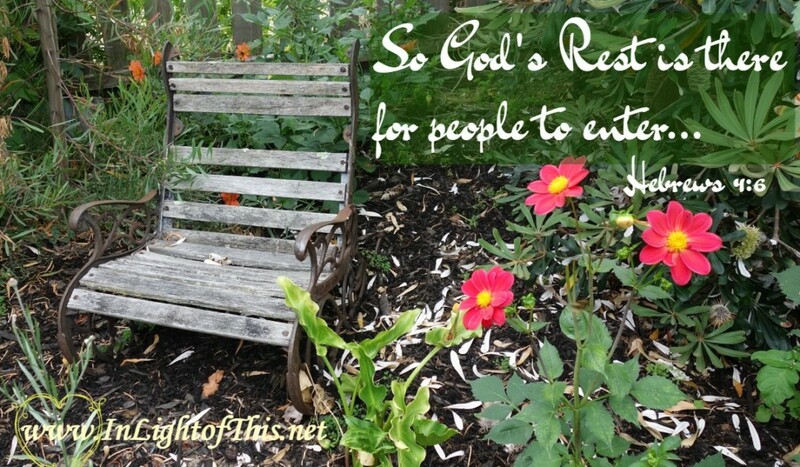 Resting means belonging – and we belong to Him. If you found this post meaningful, please sign up to continue receiving future posts right into your inbox. A timely reminder for the unknown ahead of all of us ‘In Christ’ and ‘walking only by faith.! You are right, Kay. We are all on a journey of faith and there is joy and hope and peace and love…all the fruit of the Spirit for us – on that journey, whether He leads us beside still waters or walks with us through dark valleys. He is with us. I want to remember that and not make it about my house or about the travel. I want to remember what is important, and I know that you do to. I’m glad that we get to share some of our journey together. I am a child of God and one who seeks to be transformed by the truth of Jesus and in the power of the Holy Spirit. I believe in a life lived lovingly, creatively and thoughtfully, always with an eye toward what is eternally important. We would love it if you would stay in touch! Join me on the journey for a deeper faith and a stronger love. "So encourage each other, and build each other up just as you are alread doing." Thank you! I'll enjoy the company.